I am loyal to the point of folly. 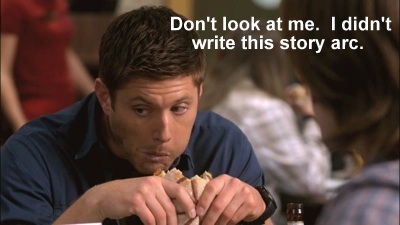 People, I watched season seven of Supernatural. Every. Single. Episode. The Geneva Convention is holding talks about whether Netflix should be required to pull those 22 hours of slow torture. It was horrible, but, by golly, I had logged a lot of miles with Sam and Dean in that Impala, and I was not giving up. I’m glad I didn’t since season eight was greatly improved, and I’m downright giddy about season nine. 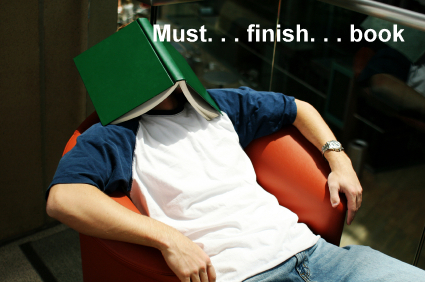 I am just as teeth-clenched determined when it comes to reading. Robin McKinley wrote two of my favorite young adult books, The Blue Sword and The Hero and The Crown. Her adult fiction can be sort of hit or miss for me, but I will read every page. I had to check out Sunshine on three different occasions over two years to get through it. It ended up being excellent, but the beginning was painfully slow. If Robin McKinley’s name hadn’t been on the book cover, I would have chucked the thing out the window the first time. But I am LOYAL. She’s 35, so she gives a book until page 65. I’m generous. I’ll give you 200 because I’m really hoping you’ll have a miraculous turn around half way through. Even so, I’ve had a rough time lately with books. I returned more unfinished books in the last six months than I ever have before. Others I finished out of sheer tenacity, but I never grew to like them. I did not care what happened to the characters. Not at all. Not a one. Zilch, zip, nada. Blow them all up, heroes and villains alike, and I would have slept like a baby. The authors were very good at other aspects of the writing. The fantasy writer was a masterful world builder. He created one of the most interesting systems of magic I’ve ever seen, and then he plopped down a set of characters into it with all the relatablity of dry toast. Both of the science fiction writers wrote wonderful scenes of tension and suspense that I made notes on. One of the mainstream writers had lovely description of the world of her two protagonists. Sadly, her setting had more depth than her characters. At the same time I read these books, I was alternating reading a series of paranormal romances. You know the type. They have the kind of covers that encourage you to buy an e-reader. The writing is atrocious. Every single time I read one I wonder how this author ever got a publishing contract. The dialogue is cringe worthy, and she is constantly telling instead of showing. BUT—this is huge—I am currently reading the ninth book in this series. These horribly crafted things are New York Times bestsellers. I continue to plod through the inferior writing because the author made me care about her characters. If you make me fall in love with the people in your story, I will put up with a lot. I watched plots revolving around Pepperjack Turducken Slammers(! ) because I had already loved Sam and Dean Winchester for years. If I don’t care a lick about your characters, I don’t care how pretty your prose is, I’m chucking your book. So, please, make me feel something. 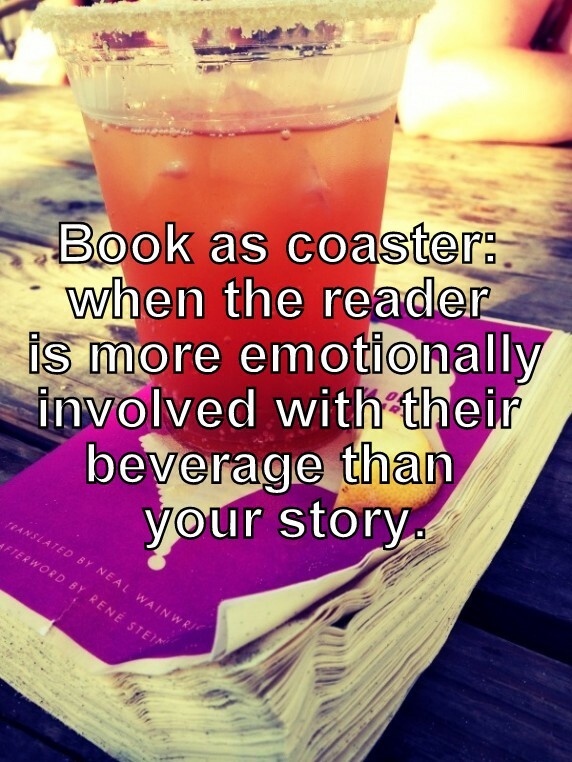 Think about your favorite book. Why did you like it? Was it the writing style or the characters? What makes a reader apathetic about a character? Why do you most often abandon a book? 1: Catch 22 and yes, it’s Yossarian, that’s why I love that book. 2: The ability to enable empathy and/or belief in their actions. 3: No belief in them as ‘real’ characters. You can have a blue dragon as a character that can have more reality and life than any ‘real’ character in a book. 4: Self indulgence. The writer gets in my way of the story and characters. I hate as I read when I picture the writer sitting back at their desk and saying, ‘Bravo, I am clever’. Catch 22 is wonderful. I always liked Milo, especially when he was trying to feed Yossarian chocolate covered cotton. Or at least, my brain remembers a scene like that, bu it has been many years since I read it. I do think what worked for Heller was the brilliant eccentricity of his characters. What makes a character unreal for you? Is it just too much purple prose? Are the motivations the problem? Exactly, I think it’s the eccentricity that brings them to life for me and makes them so memorable. Who can forget a character like Major Major Major, who looked like Henry Fonda from birth! You immediately know everything about that poor man! I think the two go hand in hand, if there is too much purple prose then the characters feel forced and consequently I find it hard to buy into their actions and so do not believe their motivations. 4. Why do you most often abandon a book? The reason you listed here is a big one for me as well. If I can’t care about the characters in it, what’s the point on spending the 200-1000 pages with them? Another reason I see a lot of people abandon books is lack of forward movement. There’s something incredibly frustrating about sitting down and reading an entire book where a lot of stuff seems to happen, but nothing ever gets accomplished. This seems to be a really big complaint when it comes to a series that has been releasing books for several years, and it’s a HUGE issue in long running comics. Yes, series do have that problem. They can’t dare accomplish too much. That’s partly why I get bored with mysteries quickly. Oh, another dead body. Whee. One notable exception has been Elizabeth Peters Amelia Peabody mysteries. I have enjoyed them partly because over the course of the series the protagonist has fallen in love, married, had children, raised them, and is now a grandmother herself. Imagine that, allowing a character to grow and age. Gasp! Thanks, Sandra for the encouragement and joining the fray of the comments section. I like it when we can get a discussion going and even a little debate.